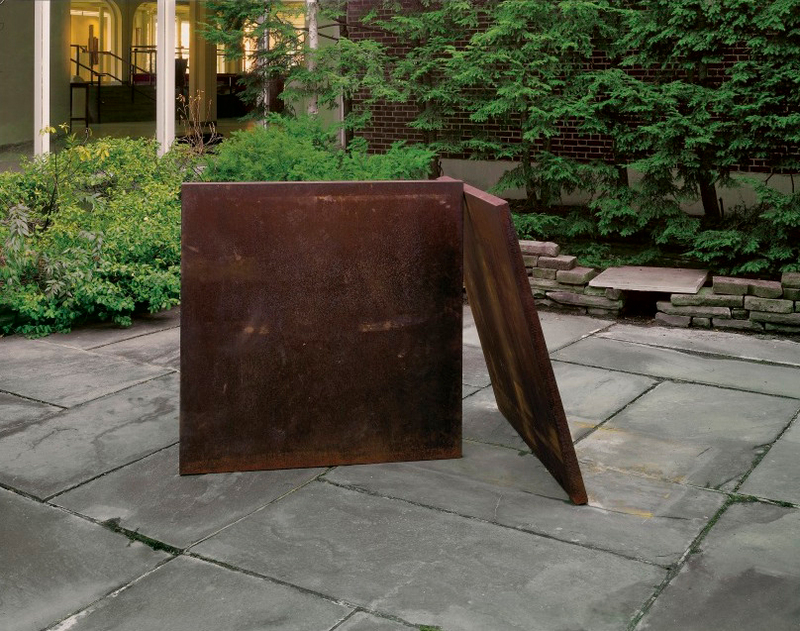 In Richard Serra’s early props, a physical, material act of balance is the essential element of sculptural form. Two-Plate Prop consists of two independent square steel plates, each weighing 1,300 pounds, set into relationship with one another. The elements are not secured together or to the ground, and only stand because of their mutual support and the constant force of gravity acting on them. The tension in this relationship is extreme, with the relentless danger of collapse. Despite its seemingly precarious balance, the weight of the industrial material, rusted to reflect the years it has stood in this outdoor installation, conveys a sense of strength and permanence. The points of connection produce a powerful inner energy between the steel plates and with the ground, emphasizing the effort of their mutual support. This energy permeates the entire installation space, inviting viewers to move around the small sculpture to explore its form, and to meditate on the fundamental need to be in relationship in order to withstand the weight of gravity. 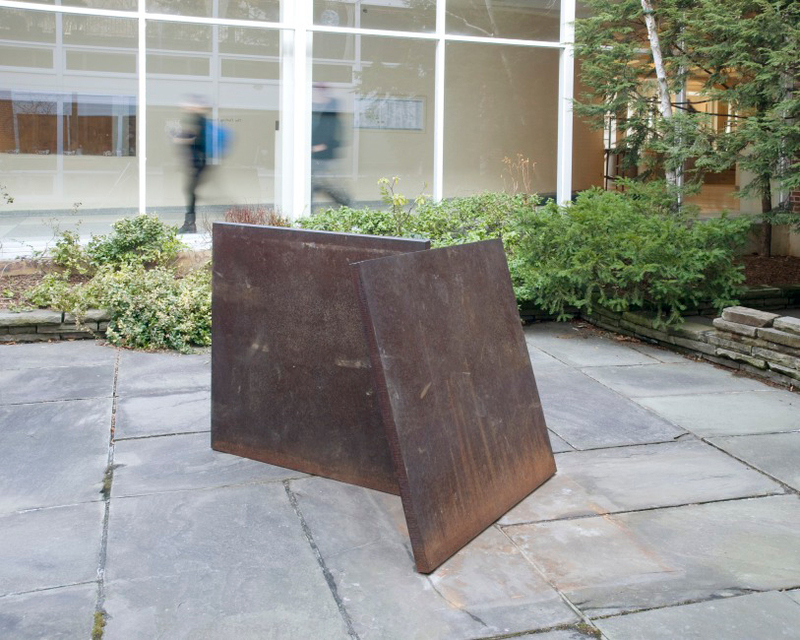 Video of Richard Serra's Two-Plate Prop (1975–6) in the Darling Courtyard in the interior of the Hopkins center, alongside George Rickey's Two Lines Oblique Down, Variation VI (1976).